This is a little late I know as summer is now over – but better late than never, right? I have really struggled to find cruelty-free sunscreen (if anyone has any tips PLEASE let me know), but this was one I found at my local Coles supermarket for $9.95. 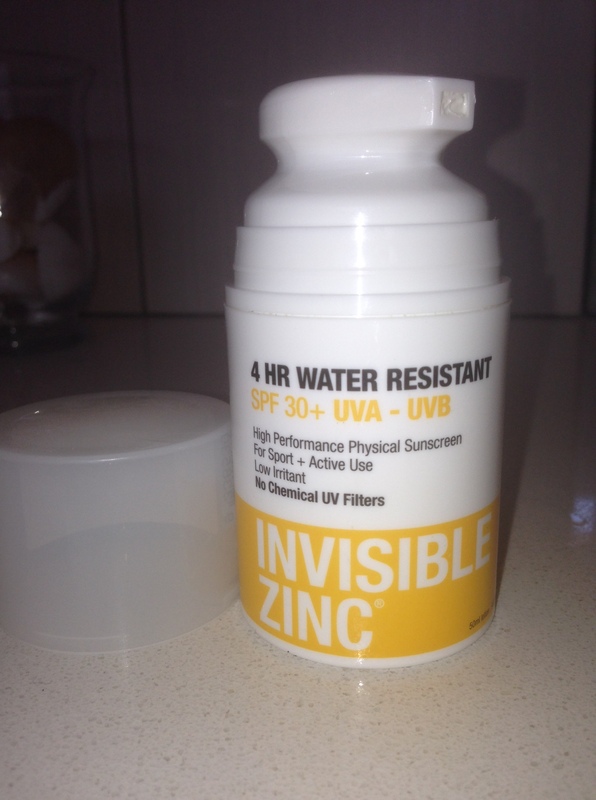 Invisible Zinc (as the name suggests) uses zinc oxide to provide a natural, physical barrier to UVA and UVB rays. It contains no prarabens or minerals oils, and with no chemical filters it is also great for sensitive skin. Zinc has long been associated with thick fluorescent stripes on cheeks (fine when you’re ten years old, but not so great as an adult), but this has been formulated to have a clear finish. While it is indeed worlds apart from the old style zinc sticks, I did find that it takes a bit of work to rub in. Despite this the finish is not greasy but did leave a bit of a thick sheen. The ‘gotcha’ on this is that although it is not tested on animals, the parent company is Inova Pharmaceuticals which produces a range of healthcare, prescription and eye care products – and which in turn is owned by Valeant Pharmaceuticals. I don’t know for sure (medical companies don’t generally put ‘tested on animals’ on their products), but can assume that at least some of these products may have been tested on animals to pass TGA requirements. I’ve always said that this blog ONLY covers testing on animals for cosmetic and household (non medical) products, so I will leave that up to everyone to make up their own mind if they are happy to purchase this product knowing that the parent company produces pharmaceuticals. None of the Invisible Zinc products or individual ingredients are tested on animals, indicated by the Cruelty-Free logo printed on Invisible Zinc product packaging. Further there are no animal products or animal by-products contained in any of the Invisible Zinc products. We do not distribute our product in China and we are not aware that any other country conducts testing of this product on animals. Palm oil is not used as an ingredient in the products in the Invisible zinc range. Invisible Zinc is available in Australia from Coles, Woolworths, Priceline, Terry White, My Chemist and Chemist Warehouse. Remember to always stay safe in the sun!